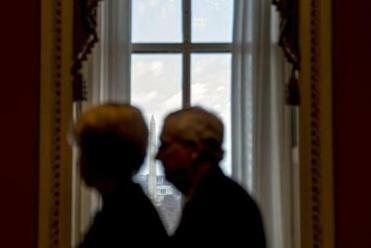 Senate majority leader Mitch McConnell met with reporters last week after a closed-door Republican strategy session. IT’S LONG BEEN OBVIOUS that the US Senate is broken, but nothing better illustrates the problem than the recent debate over DACA — Deferred Action for Childhood Arrivals — and the Dreamers. One proposal failed 52 to 47. A second went down 54 to 45. A third lost by the same margin. But how can the three proposals all have been defeated if they all had majority support? Because in today’s Senate, everything needs 60 votes, the number it takes to end a filibuster. Or, more accurately, a threatened filibuster or virtual filibuster, since these days, no one actually gets up and talks as part of a filibuster unless it’s for political show. So on a matter where there’s widespread public support for action, and where Republican leaders have repeatedly said a deal should be within easy reach, nothing happened. Time was, important issues were routinely decided according to a majority vote. A filibuster was only an occasional thing. And a senator or group of senators had to hold the floor and talk in order for a filibuster to continue. But no longer. Once a senator threatens to filibuster, action on that item stalls unless 60 senators vote to move forward. Neither party escapes blames for filibuster abuse, but most of it lies with the GOP. And, particularly, with Republican Senator Mitch McConnell of Kentucky, who as leader of the Republican caucus, has transformed the Senate into an instrument of obstruction. 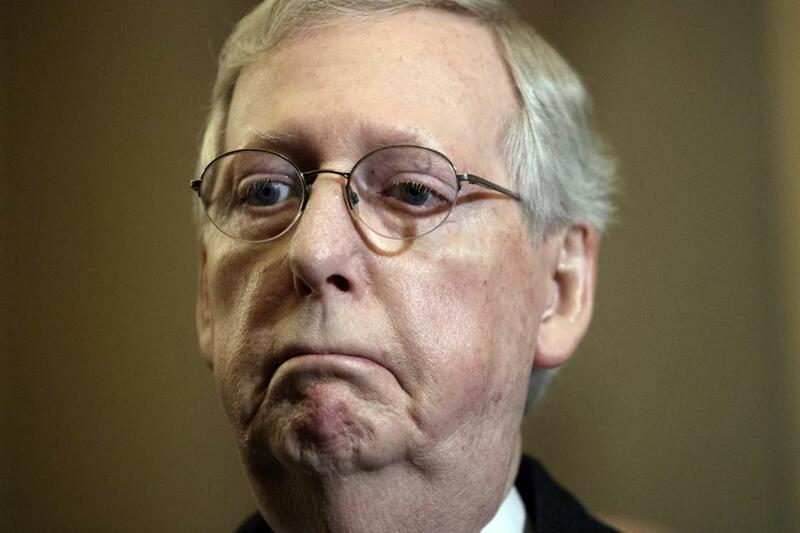 “I would say flatly that nobody has done more to destroy the comity and the norms and the more commendable way the Senate has operated for a long period of time than Mitch McConnell,” says Norm Ornstein, congressional expert and resident scholar at the American Enterprise Institute. Although some senators are apparently confused about this, the filibuster wasn’t part of the Senate’s original design. In his years as Republican Senate leader during Barack Obama’s presidency, McConnell (and his caucus) used the filibuster to slow down everything and anything the Democratic president wanted. With Republicans now controlling all three branches of government, Democrats, viewing turnabout as fair play, are using the filibuster more. It’s evolved to the point where virtually any issue of importance has to clear the 60-vote threshold. Witness DACA. As majority leader, McConnell promised a fair debate, saying that “whoever gets to 60 [votes] wins.” (Nobody did, of course.) But why should passing a DACA bill require 60 votes rather than a simple majority? So what would it take to fix the Senate? Among the possible rule reforms: expanding the list of matters that aren’t subject to a filibuster and limiting to one the number of times a filibuster can be used on a specific piece of legislation. A broader proposal is to require those filibustering to hold the floor and speak in order for their filibuster to continue. An informal solution would be for senators to change the Senate through behavior rather than rules. That would require a bipartisan bloc who would agree to vote routinely to end filibusters on all matters except for those that were truly vital to them. That would mean accepting that one side or the other would sometimes lose on an issue they could have blocked. With such an understanding, the ubiquity of the filibuster might fade. A measure of collegiality and comity might reassert itself. Leadership would lose some of its grip on the process, and an instinct for debate and compromise, rather than reflexive obstruction, might take root. Thorny issues of the sort that now cause paralysis might even get resolved. For that to happen, however, both sides would need to believe that courtesies and comities will be reciprocal, regardless of which side controls the chamber in any given year. Sadly, it’s hard to see that happening while McConnell serves as Republican leader. But at some point, senators have to decide to put a higher premium on progress than on partisanship and posturing. And resolve that the prospect of winning on some issues outweighs the risk of losing on others. Only then can the broken Senate be fixed.